The AI Festival, organized by IIIM and CADIA, was held last Friday October 23rd, with over 100 attendees. The festival this year was devoted to the possible dangers man kind faces from the use of artificial intelligence and how AI does not need to posses a human like personality with its own goals and desires to be a threat. The guest of honor was Mr. Noel Sharkey, a professor of AI and Robotics at the University of Sheffield. He spoke of the various autonomous weapons used by militaries around the world and how the use of AI technology is already posing ethical questions in military affairs. Followed by him Dr. Kristinn R. Þórisson, Founding Director of IIIM, argued for the need of AI labs to adopt a clear stance on ethics, and presented the all-new IIIM Ethical Policy on Peaceful R&D. Finally a very interesting panel with the speakers Noel Sharkey, Kristinn R. Thórisson and ethics expert Salvör Nordal, who is the Director of The Center for Ethics at the University of Iceland. 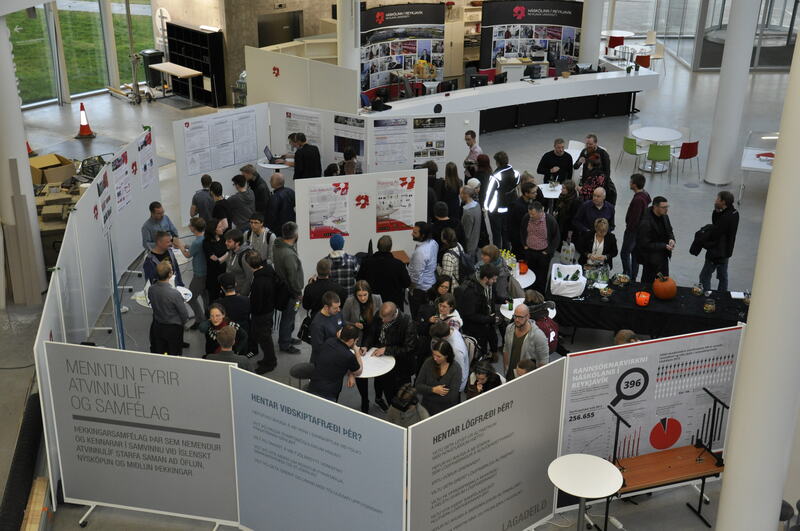 The following poster and demo session offered attendees refreshments and a glimpse of some of the most advanced products, services and research in the field of AI, automation, and high-tech in Iceland. The guests had a chance to a walk in a virtual reality, play games, learn about how to race a robot and how AI technology can be used in various sectors such as in the hospital environment and online retail sails just to name a few.